Don’t’ be misled here, all the holiday options on Holiday Tots are baby friendly, however this collection of baby friendly boltholes just might be perfect for that first holiday with your little one. As with all of the accommodation on Holiday Tots each holiday offers an essential list of baby and toddler equipment; cots and high chairs are standard and if your little one is on the move then stairgates are supplied. All helping to make that first holiday with baby that little bit easier. All of the baby-friendly boltholes on this page have been chosen to represent the best in baby friendly holiday accommodation on Holiday Tots with special attention to details like blackout blinds or curtains to aid a good night sleep. Many owners offer home cooked meals or even babysitting for that well-deserved night out. Memories last a lifetime and when you have a tot in tow they are that extra bit special and go by fast, so what are you waiting for? Delve in and search for your first holiday with baby. To save you time feel free to contact us, we love travelling with our little ones and will happily help you begin your journey with yours. Four star Gold Award cottage with one bedroom, ideal for a couple with one baby, only 3 miles from the beaches, perfect for that first sea 'paddle / tip the toes in the water' experience and in a beautiful countryside setting with lots of onsite facilities too. Once baby is asleep enjoy a nice glass of wine taking in the fresh air on your own private terrace. 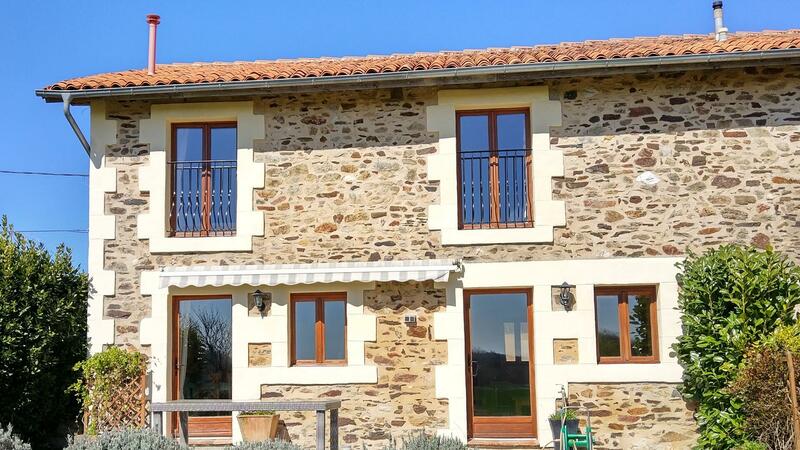 This baby-friendly holiday cottage is located just 15 minutes from La Rochelle in Southwest France. It offers a fabulous location for exploring this region of France and the owners can provide an extensive list of baby and toddler equipment including cot, highchair and baby bath. The private garden is fully enclosed so if your tot is on the move you do not have to worry about her/him wandering off. The shared swimming pool is enclosed and heated too. This baby-friendly holiday cottage is perfect for a small family. It has two bedrooms and can also easily accommodate a cot in the main bedroom. There is a heated swimming pool fully enclosed and only 1m deep going to a max of 1.6m, toddler play areas, safe gardens, play areas for older kids and lots of baby and toddler equipment. The owners will even pop age appropriate toys into the villa for your stay. When two become three it can be a really daunting task thinking of ever having a holiday again. It is bad enough popping to the shops, visiting friends or family or organising a day out let alone a family holiday! There is just so much 'stuff' - with all those nappies and paraphernalia that comes with having a new baby it can seem like a holiday is just years away. That doesn’t have to be the case. There are plenty of cottages and apartments where the owners really understand what it’s like to travel with a little one of two and offer a good list of equipment to make travelling a little easier. Most owners also offer a pre-shopping service where they will pick up the baby holiday essentials and everyday items such as bathing soap, nappies, food etc.